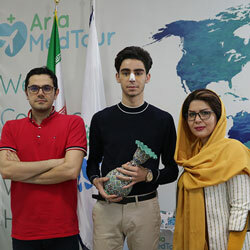 clinics in Iran at decent prices. If you couldn’t crack the code to smooth skin by trying different kinds of masks, don’t waste your money anymore. Get your chemical peel at modern beauty clinics of Iran and enjoy spending a holiday in the land of Persia with the rest of your budget! 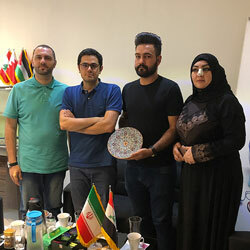 To give you a clear image of getting chemical peel in Iran, here we describe how this facial enhancement procedure is done in Iran, how much it costs, why it’s done, what you shall expect after the procedure, and many more. As a non-invasive treatment, a chemical peel is a facial rejuvenation method aimed to improve the appearance of the skin, especially in the areas whose skin has become in one way or another affected by various causes. These areas include the face, hands, and neck. A chemical peel can treat acne, scar, skin’s irritation, and wrinkles. In this procedure, particular chemical solutions are applied to the skin. As a result, the afflicted area peels off. Then, when the new patch of skin replaces the old layer, improvement in terms of brighter and younger skin with fewer wrinkles become evident. Maybe it’s time to have perfect skin with getting chemical peel! What does chemical peel do? Chemical peels have been around for decades, even centuries, and today seems to be in high demand. They are used to address a variety of skin issues and abnormalities such as acne scars, sun damage, uneven skin tone, melisma, skin discoloration, fine lines, and wrinkles. Nowadays, large numbers of cosmetic doctors and their patients in many societies are turning to such treatments and seem to be receiving desirable results. Compared to other available treatments such as laser therapy, peels may seem low tech yet less intimidating and quite as effective. Therefore, patients feel more secure when faced with multiple options and, more often than not, tend to prefer peels over other sorts of treatments with the same effect. Moreover, certain types of peels can be applied at home, meaning that receiving such a treatment does not require the individual to make an appointment with a doctor. However, certain other types might require anesthesia and professional medical attention. 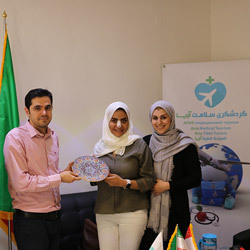 Iran enjoys a host of modern dermatology centers and clinics in addition to private offices at which professional dermatologists practice all kinds of skin care procedures. Rejuvenation treatments like chemical peels are among the procedures widely practiced by Iranian doctors and quite popular among Iranians. Such a professional medical environment has provided a sort of haven for travelers from all over the world seeking medical attention. 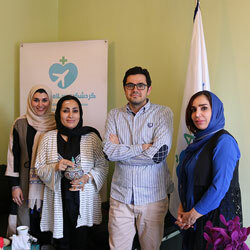 Moreover, you can get your chemical peel treatment done in Iran at a decent price. With the lower cost of living and a weak currency, the country has become a highly affordable place both for having an exceptional holiday and getting cosmetic procedures. How is the chemical peel procedure done in Iran? After fixing a date for the procedure, you visit the specialist. The dermatologist applies the chemical solution on your skin using a brush or gauze. Then, the substance begins to whiten. It will be removed after a while and you’ll go home. Depending on your skin condition, your doctor may go with either of the three types of peels: superficial, medium, or deep. These are explained in the following section. See how chemical peeling procedure goes on. A mild type of acid, usually Alpha-hydroxy acid is used in this type of chemical peel procedure to gently remove the superficial layer of skin and to give it a fresher and brighter appearance. This type of peel is mainly used to treat skin discoloration and to refresh the skin on certain parts of the body such as face, neck, hands, and chest. The percentage of active ingredients in a peel is what determines the strength of any given peel. Basically, the acid used in a medium peel is the same or similar to the one used in a mild one. Only the amount or density of the acid is higher in the medium kind. There is a good chance that Glycolic or trichloroacetic acid is used in order to remove the damaged skin cells. Moderate skin discoloration, freckles, wrinkles, and fine lines can be treated with this type of peel. When applied, medium kind can be followed by blisters, swelling, and red skin. Antiviral medication may be prescribed for patients with a history of cold sores and the period to use the drug may extend to two weeks, both before and after using the peel. After the treatment is applied, a cream or lotion could be recommended to prevent any long-lasting side effect. It would be better to avoid direct sunlight for a rather short period of time. Trichloroacetic acid or phenol is used in this type of peel. As the title signifies, the treatment is used to reach deep into the middle layers of the skin and remove damaged skin cells. As the strongest type of peel, it is mainly used to treat deep wrinkles, sun damage, and uneven skin tone. It is also employed to address other skin issues such as moderate lines, age spots, and shallow scars. The so-called “smoker lines”, the vertical lines along the mouth, are also among the cases in which deep peels will prove effective. Phenol peels, due to their strong effect, are mostly used on the face and NOT on the hands or the neck. The delicate tissue of hands and neck make them inappropriate spots for this type of treatment. It is also worthwhile to note that this particular procedure can only be applied for once; however, the patients will monitor significant improvements after using the peel. Having a chemical peel procedure done in Iran would be available at a significantly lower price compared to many other countries. The price of a routine chemical peel in Iran can be expected to range from $150-$500. Whereas the same procedure would cost from $2000 –$5,000 in the United Kingdom. Other European and even some Asian countries are similar in terms of the costs. What to do before a chemical peel procedure? You should inform your doctor in case you have a history of scarring, cold sores and/or you have undergone a facial X-ray in the recent past. Your skin care specialist might require you to stop taking certain drugs weeks prior to your procedure and to start taking certain medications such as antibiotics or antiviral drugs. In addition, the depth and type of peel should be determined by the doctor so that inappropriate treatments should be avoided. You can expect something akin to sunburn happening to your skin after the procedure. Some redness and scaling can be expected after a peel is applied to the skin. It might be required that mild peels be repeated at one to four-week intervals. Medium and deep peels could induce harsher side effects including swelling and blisters which could break and eventually disappear after a period of seven to fourteen days. Medium peels can be reapplied after a period of six to twelve months, but not deep ones. Wearing bandages on the treated skin can be a requirement for a period of time. The new skin would temporarily be more sensitive to sunlight. So, do not forget to avoid direct sunlight at least for several weeks as your new skin would still be fragile and quite sensitive. 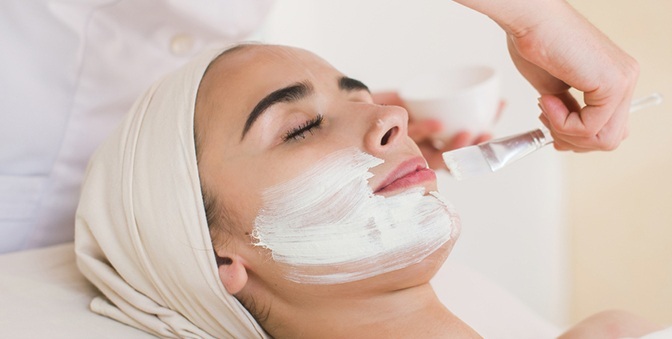 There’s a great body of literature on the safety of chemical peels. They reported that various types of procedure are safe and effective. For instance, a study on people with dark skins showed that superficial peels are safe and efficacious for treatment of acne, oily skin, textural changes, melasma, and post‐inflammatory hyperpigmentation. 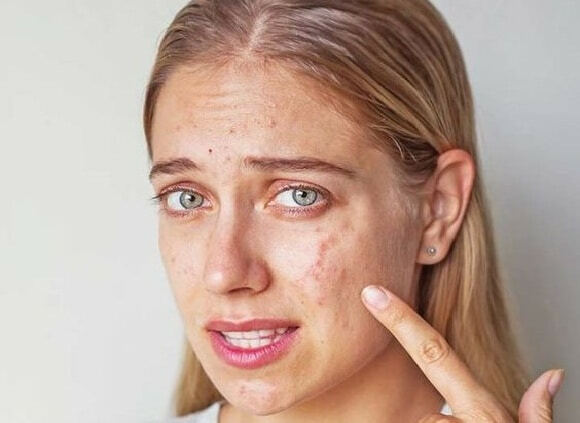 Generally speaking, the light-haired and fair-skinned (popularly regarded as “blonds”) are better candidates for using chemical peels; however, if you are not blond and have darker skin, it does not mean that peels are not for you. Depending on the kind of issue to be treated, one can go for the appropriate kind of treatment and receive the desired results, regardless of the color of their skin. There are a number of problems that do not respond well to chemical peels and these include severe wrinkles, skin sags, and bulges. In such cases, other various treatments could prove beneficial. A dermatologic surgeon can advise you toward the right path which might entail laser resurfacing, facelift, eyelid lift, a soft tissue filler, etc. Does chemical peel treatment hurt? You won’t feel any pain during or after the treatment. You may only expect to have more sensitive skin for some time following the procedure. Can chemical peel help acne and acne scar? The answer would be a strong ‘Yes’. When chemical peeling is used, the skin will be rejuvenated. It means that a new layer will cover the skin and dead cells will be removed. This causes the pores to drain and in turn acne and acne scars would be treated.